Add gymnastics and skateboarding to sports disciplines that will be possible sources of honor for the Philippines in the 2020 Tokyo Olympics. Combat sports, especially boxing, used to be the only sport, where the Philippines has great chances of making it to the toughest, biggest sports show on earth. But gymnast Carlos Edriel Yulo and skateboarder Margielyn Didal, just the past year, pierced into the elite circles of their respective sport. 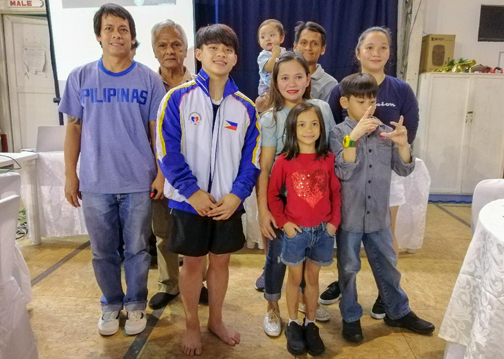 When Philippine gymnastics chief Cynthia Carrion saw this diminutive kid for the first time, she knew right away that she has a star in the making. After several years of nurturing and polishing, Yulo was transformed into a jewel of a gymnast. Accompanied by his grandfather Rodrigo, Yulo walked into the headquarters of the Gymnastics Association of the Philippines, which was a few hundred meters from their home near a creek in Manila and just at the back of the Ninoy Aquino Stadium. Carrion saw the potential in the then seven-year-old “Caloy” and included him into the gymnastics’ program. It didn’t take long for Caloy to shine. He began winning every local gymnastics tournament, including in the Batang Pinoy and Palarong Pambansa. Carrion, with the help of private sponsors, put Caloy under the care of Japanese coach Munehiro Kugimiya. 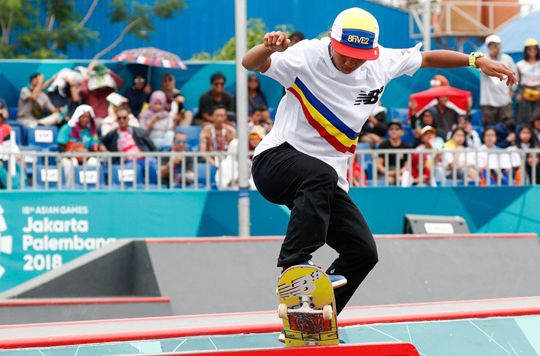 Under Munehiro, the “kid from the creek” began making a name in the international stage and the Philippine Sports Commission also took notice and began supporting Yulo’s international training and competitions. The PSC and GAP’s cooperative efforts are now reaping dividends as Yulo began showing his potential for a medal in the Olympics. Competing in his first seniors’ battle earlier this year, he bagged a bronze medal in the men’s vault of the World Cup Gymnastics Melbourne 2018 held in Australia in February. Then, he took the silver in the men’s vault of the Baku World Cup held in Azerbaijan on March 18 and added another silver in the men’s floor event of the 2018 Doha World Cup in Qatar the week after. He did his medal-winning binge in a span of one month, before topping them all with a bronze medal in the World Championship in November. He capped his fruitful year with a two-silver medal finish in the Toyota Cup in Japan two weeks ago. “Masaya po ako and para po ito sa aking family and sa mga taong tumulong po sa akin,” said Yulo, who is going full blast this coming year (2019) in his attempt to compete in the Tokyo 2020 Olympics. Ranked no. 13 in the world, he is poised to dominate the Southeast Asian Games to be hosted by the Philippines on Nov. 30-Dec. 12 next year. The 18-year-old Yulo is one of the Philippines’ potential delegates and medal hopefuls for the 2020 Tokyo Olympics. “Yes po. Kaya naman (win gold). Basta po tuloy lang po ako sa training ang gagawin ko ‘yung best ko,” he said. Caloy’s young brother and sister are now following in his footstep. His brod Eldrew is a three-time Palarong Pambansa champion. Pretty soon, the Yulo siblings will all be making their country proud.